Studios Alsos are owned and operate by the same management as Studios Stratos. 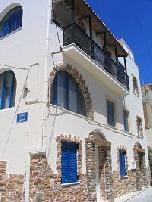 They are located in Naxos Town at a very convenient location next to all amenities and withing a walking distance to the sea. 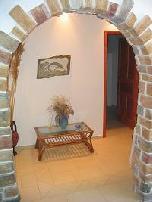 They offer an excellent accommodation consisting from spacious and tastefully decorated studios. All the studios have air-conditioning, fully equipped kitchen, private bathroom, air-conditioning, balcony or veranda and satellite TV. Some studios are equipped with iron beds and the rest are equipped with wooden beds. The choice is yours. For your convenience, transfer to and from the port or the airport is offered complimentary to you. The bus stop is only 50 metres away and mini markets are just 30 metres away. The nearest beach is only 5 minutes walk. Είστε ιδιοκτήτης ή διευθυντής στο ALSOS STUDIOS; Εγγραφείτε τώρα για δωρεάν εργαλεία, που μπορείτε να χρησιμοποιήσετε για να βελτιώσετε την καταχώρησή σας και να συνδέσετε την ιστοσελίδα σας και το σύστημα κρατήσεών σας.